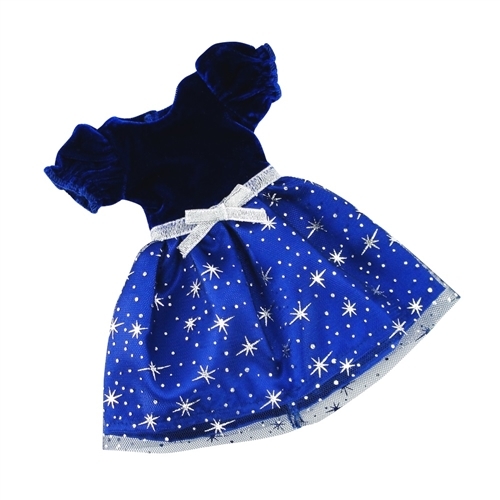 This gorgeous deep blue, sparkly evening dress is perfect for your 14 inch doll’s special party or holiday event. The soft, blue velvet short-sleeved top is matched in beauty by the full silky skirt with sparkle star overlay and silver waistband with bow. This doll dress also has our special "no grab" Velcro closure, making getting dressed a snap! 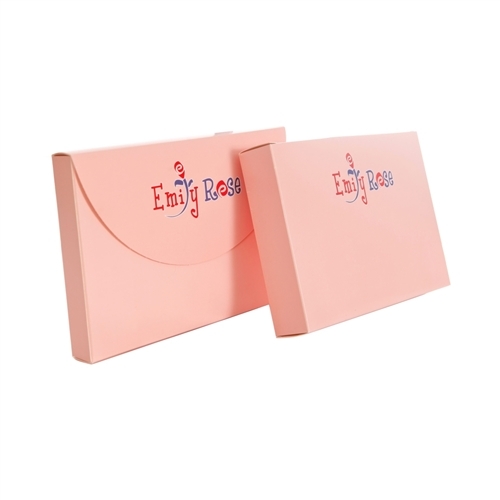 Dress comes packaged in our special pink Emily Rose gift box and is perfect for your 14 inch doll's special festive party! 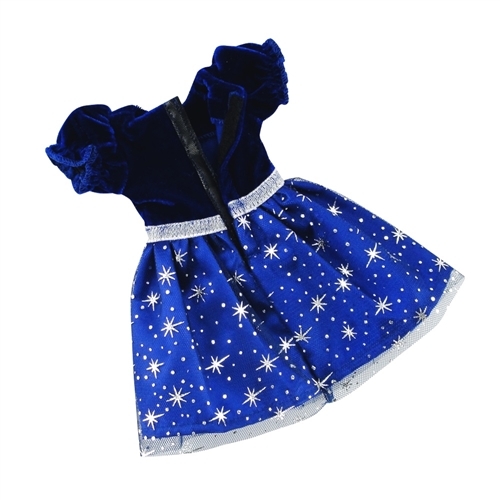 Elegant dress with deep blue velvet top and sparkly skirt is perfect for holidays, parties or formal events! Sheer overlay, with sparkly stars, makes this dress a one of a kind beauty!